In this blog, I’m going to explain How to create a Fiori List Report application having multiple tabs from a single data source based on any condition. Let’s consider a scenario where we need to categorize products as ‘Expensive’ or ‘Cheap’ based on its Unit Price. If Unit Price is equal to higher than 50.0000 then it would be considered as ‘Expensive’ else ‘Cheap’. To achieve this, we are using Northwind OData service as our data source and ‘Products’ as entity set. 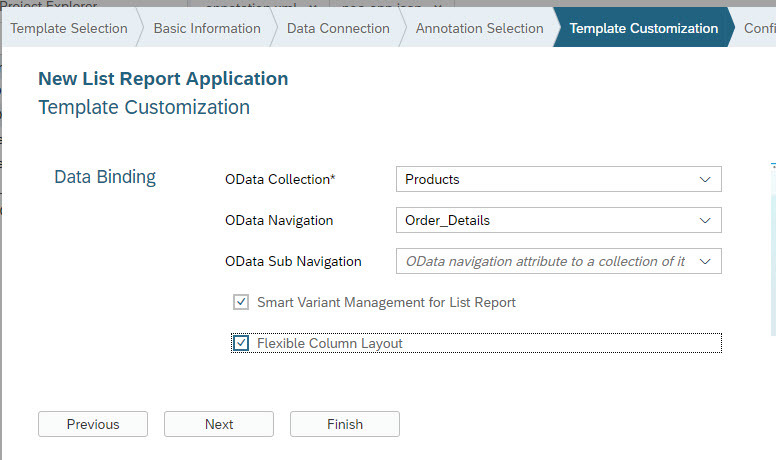 Here as a prerequisite, it is assumed that you know how to create a Fiori list report application using smart template and a destination for Nothwind OData service is already created. Step 1. 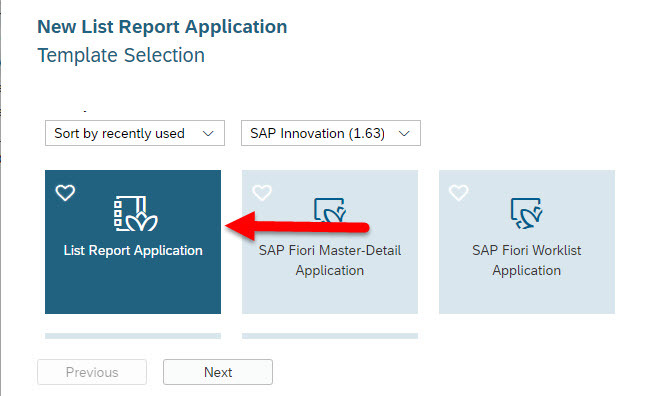 Create a Fiori application using ‘List Report Application’ template in SAP Web IDE. Step 2. 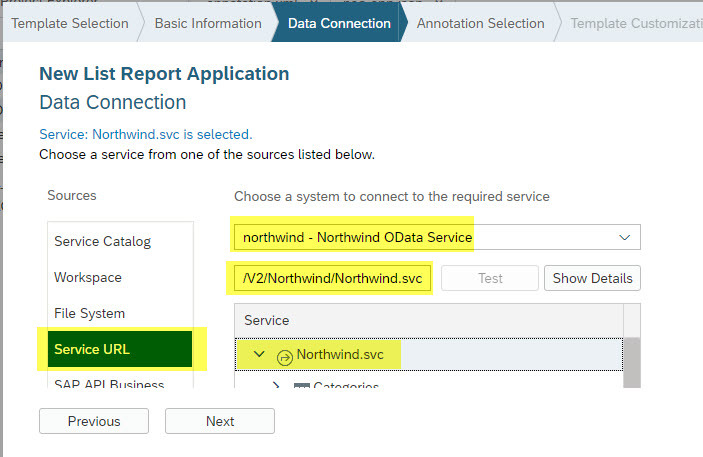 In Data Connection step, select ‘Service URL’ tab -> Northwind destination system and its relative URL – /V2/Northwind/Northwind.svc. In next step select ‘Products’ as OData Collection and finish project creation. Now run the application and add required columns and filters, all the data will be shown in the list. Step 3. To achieve the tab structured view, it will be done via annotations. Add a new folder under ‘Project -> webapp’ named annotations’ and add a annotation file under it call it annotation. Step 4. 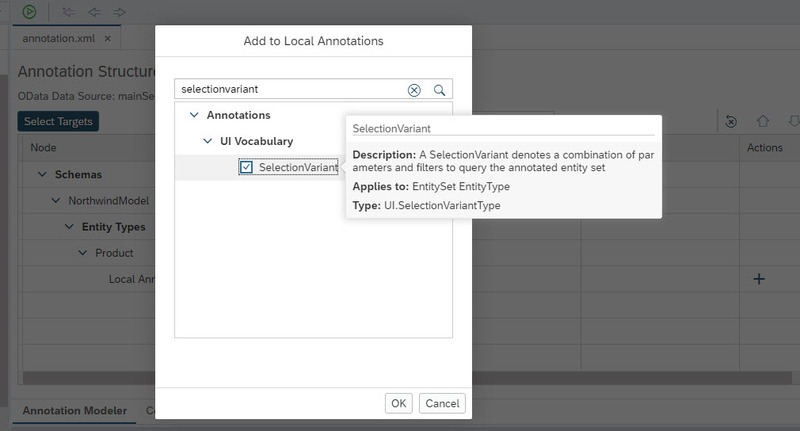 Open annotations.xml file and add annotation for ‘SelectionVariant’. Under ‘SelectionVariant’ add annotations for ‘SelectOptions’ and underneath add ‘SelectOptionType. Under PropertyName of SelectOptionType select ‘UnitPrice’ as its value. Now we need to define a range for Unit Price to categorize as ‘Expensive’ if Unit Price is greater than or equal to 50.0000. To achieve this, add annotations ‘Ranges’ and underneath add ‘SelectionRangeType’ and set the values in RangeType. Step 6. Now our variant for ‘Expensive’ category is completed. Repeat above steps 4 & 5 by creating another ‘SelectionVariant’ for ‘Cheap’ category. Set its ‘SelectionRangeType’ as UnitPrice is less than 50.0000 and set it’s text as Cheap. Let’s keep qualifier name for this variant as ‘Cheap’. Step 7. 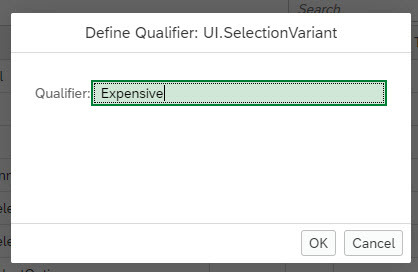 Modify manifest.json file by adding following code which specifies property “quickVariantSelectionX” having two variants which we created above ‘Expensive’ and ‘Cheap’. These variants will be displayed as tabs in the list report. Run the application and you can see two tabs – ‘Expensive’ and ‘Cheap’ based on Unit Price value. 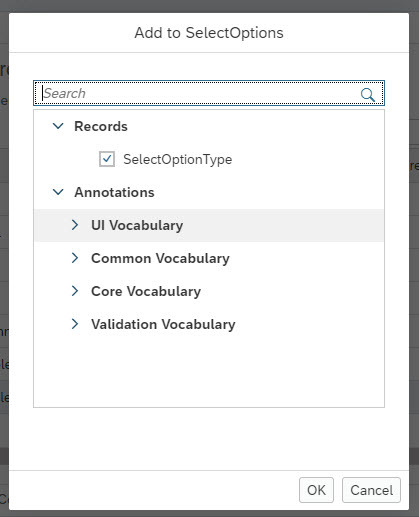 So to conclude, we have successfully implemented the tab layout for a Fiori application built based on Fiori elements using annotations itself. Multiple tab layout helps business users to view the relevant data aggregated together in one shot. I have tried this annotation approach a few months back. The results were fine on the WebIDE Sandbox. But, the variants/tabs were not displayed when the app was deployed. I tried to deploy the app multiple times but the variants would not show up. So, I gave up on this idea and chose an alternate approach. I recently used the same approach and deployed this successfully for a client. Not sure if you encountered any kind of error in the application at run time that you might have noticed from console log/debug mode. Nice blog! 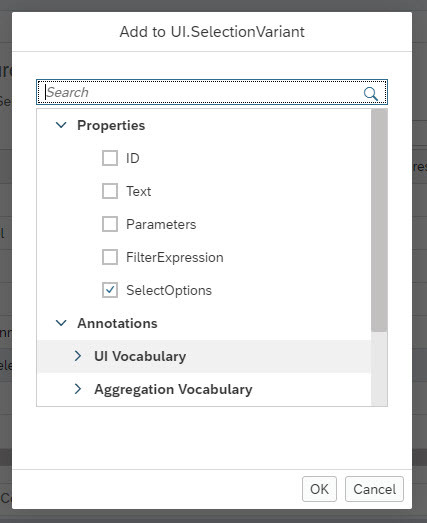 Thanks so much I have added it to the Fiori elements wiki. 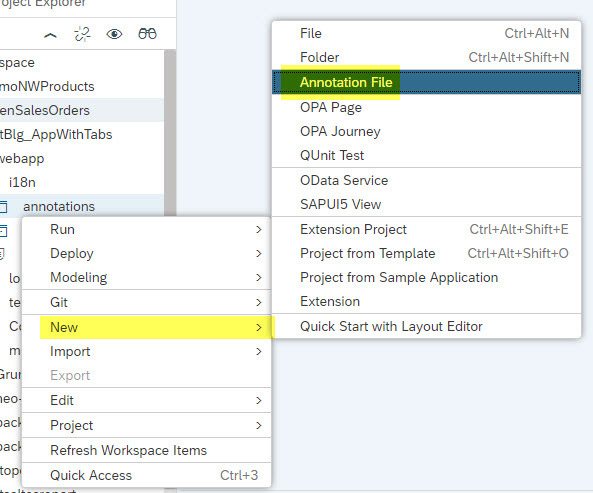 Just a reminder: Please always check your SAPUI5 ABAP Repository version vs. your SAPUI5 version to make sure the annotations you are using are supported in your version. Agreed – Different versions on frontend and backend systems can make a difference. Thanks for sharing detailed blog on this. Can you please let me know,which SAPUI5 ABAP Repository version onwards will support this feature.